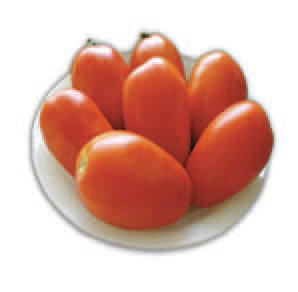 Tomato - Determinate Type | Shneor Seed Co. 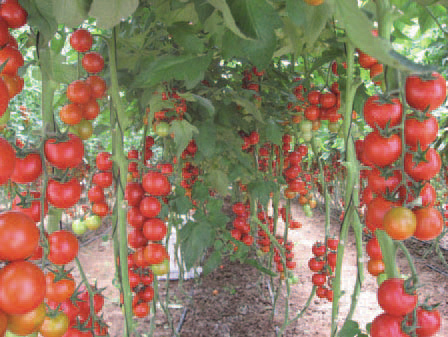 Hybrid tomato, suitable for greenhouse and open field cultivations as well. Fruit shape & color: oval and deep red fruit. Weight: 140 gr. Very uniform. Vigorous plant with short internode and early cycle, it produces fishbone patterned clusters with 6-7 fruits. 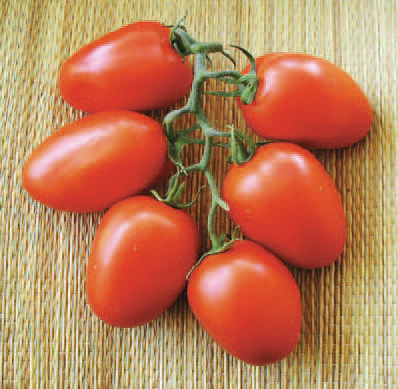 Due to its great flavour and thick flesh, suitable for tomato puree yield. Indicated for single fruit or cluster harvest showing red color at full ripening. Resistances: High resistance to Vd, FOL 1,2, ToMV, Pto. Intermediate resistance to nematodes and TSWV. Fruit weight: 90-110 gr. Shape: oval. Fruit color: red and uniform green shoulder. 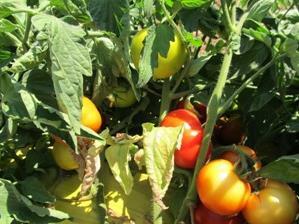 Very high yielding, very strong vigor, suitable for Bacterial Wilt affected soil. 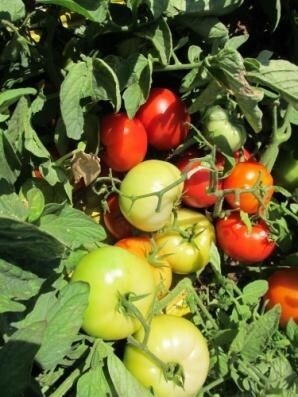 First picking is 60-65 days after transplanting. Resistances: IR to TYLCV, BW and VF (HR). 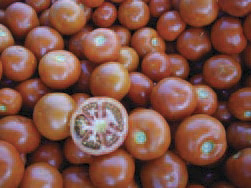 Fruit color: red and shoulder is uniform green. Weight: 110-120 gr. 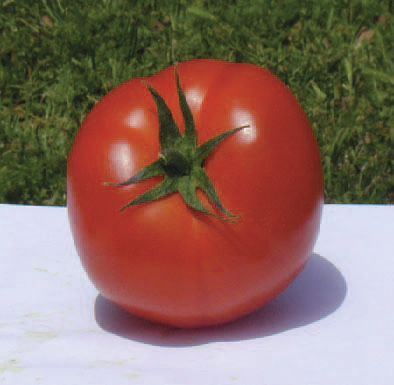 Size and shape: Medium maturity round shape tomato. Fruit has long shelf life, very strong vigor, and good firmness. 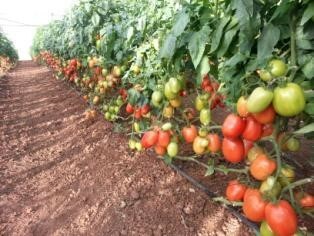 Can be harvested in 60-65 days after transplanting. Resistances: (IR) TYLCV and (HR) VFF. 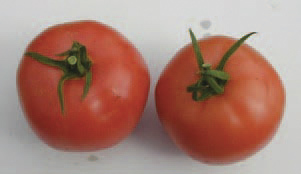 Determinate hybrid F1 tomato for out door production. Tall plant, Medium maturity. Deep oblate shaped fruit is brilliant red, very firm and it weights 140-220 gr. Shelf life is very long with outstanding color and firmness. Resistant: V, F1, F2, Tolerance, TMV,TYLCV. 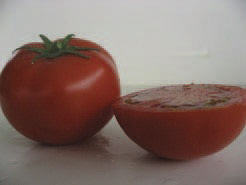 Smooth medium size fruit (65-75 mm). Long shelf life. Weight: 160-180 gr. Brix: 4-5. Shape: round. Resistances: Vd, Fol:0, ToMV, TYLCV. 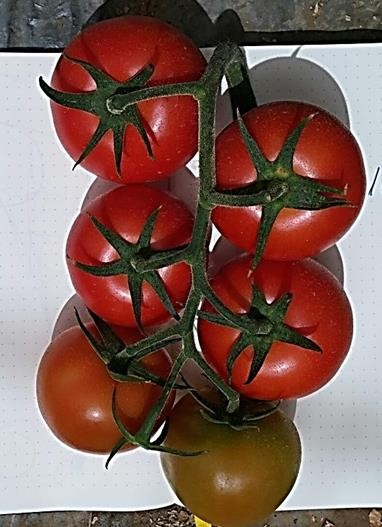 Plant type determinate, medium.Fruit weight: 120-160 gr.Fruit shape: cylindricalconical, uniform green color.Disease resistance: V, F1, F2,Nematode.Suitable for all seasons, superb taste.Suitable for fresh market and industry,high quality. 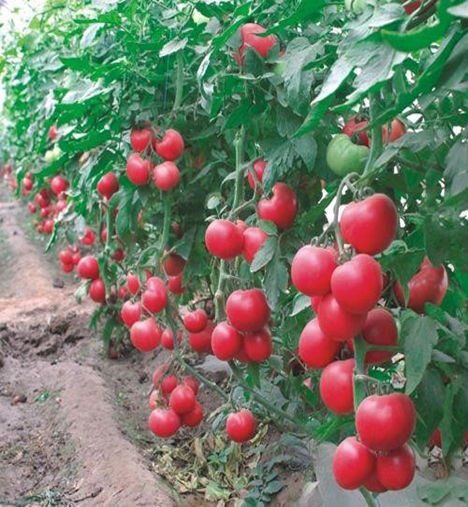 Semi / determinate type, strong and vigorous plant, productive, good shelf life. Fruit color: red. Weight: 160-190 gr. Resistances: TYLCV, TMV, VE, F1, F2, F3, TSWV. Nice color, firm fruit. Fruit weight: 150-170 gr. Resistances: V, F1, F2, N, TMV, TYLCV. Determinate type, vigorous plant, productive, good shelf life. Fruit color: red. Weight: 180-200 gr. Resistances: TYLCV, TMV, NE, VE, F2. 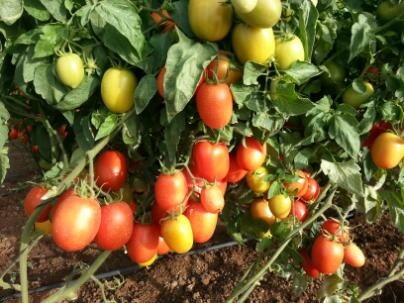 tomato for out door production. Medium, Uniform green. Fruit shape is Cylindrical - conical and weights 90-120 gr. Suitable for all seasons, tasty. Resistant: V, F1, F2, TMV. 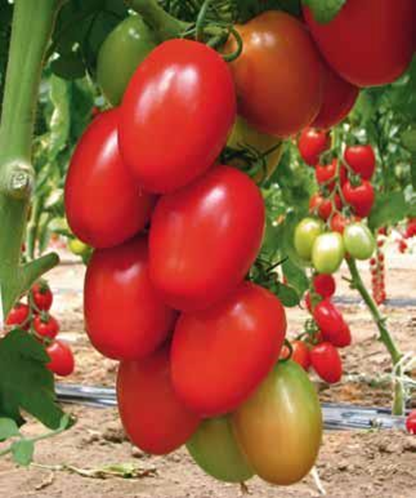 Plant type determinate.Fruit weight: 140- 180 gr.Fruit shape globe, red color Disease resistance V, F1, F2,TMV, TYLCV,TSWV. Fruit is very firm and has a very long shelf life. Round flatted shape. Size: 180-200 gr. Resistances: TYLCV, TSWV, TMV, NE, VE, F2. Strong plant, medium maturity. Tall plant, Medium late maturity. Globe shaped fruit is brilliant red, very firm and it weights 160-260 gr. Shelf life is very long with outstanding color and firmness. Resistant: V, F1, F2, TMV, N.
Medium, Uniform green. 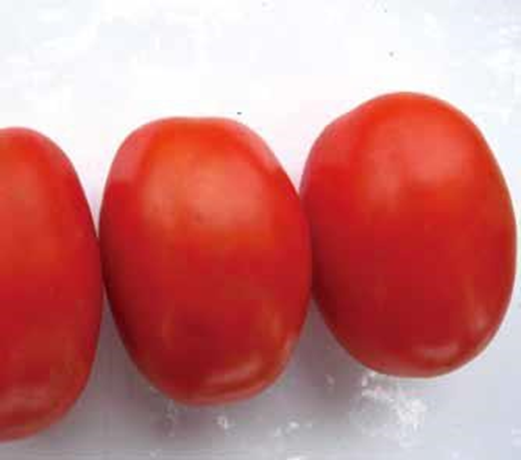 Fruit shape is Cylindrical - Short and weights 90-130 gr. Suitable for all seasons, tasty. Resistant: V, F1, F2, TMV. Relative maturity:Early,Fruit shape:round and no shoulders,Fruit weight:180- 220gr,Disease resistance:TY,N,TMV,F2,V. Features:fruit is very firm and has very long shelf life. Relative maturity:Early,Fruit shape:Round no shoulders,Fruit Weight :170-190gr,Disease resistance:TY,N,TMV,F2,V. Features:Fruit is very firm and has very long shelf life. Semi/ determinate type, strong and vigorous plant. Productive, good shelf life. Fruit color: red. Weight: 160-190 gr. Resistances: TSWV, TMV.